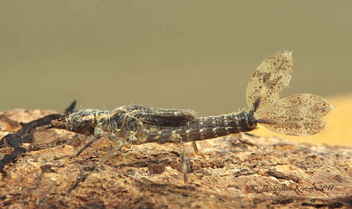 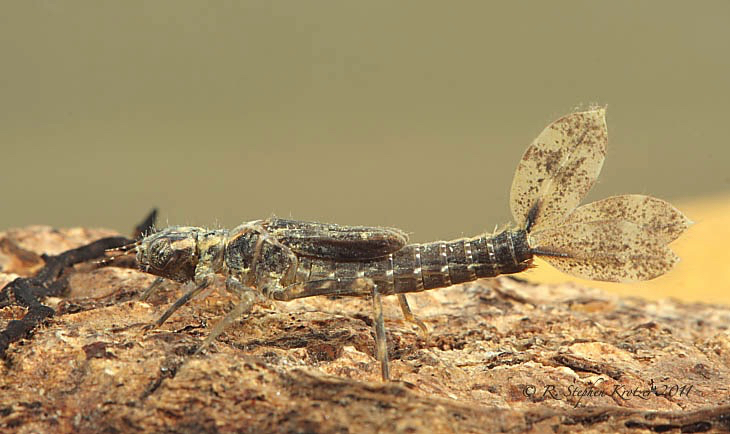 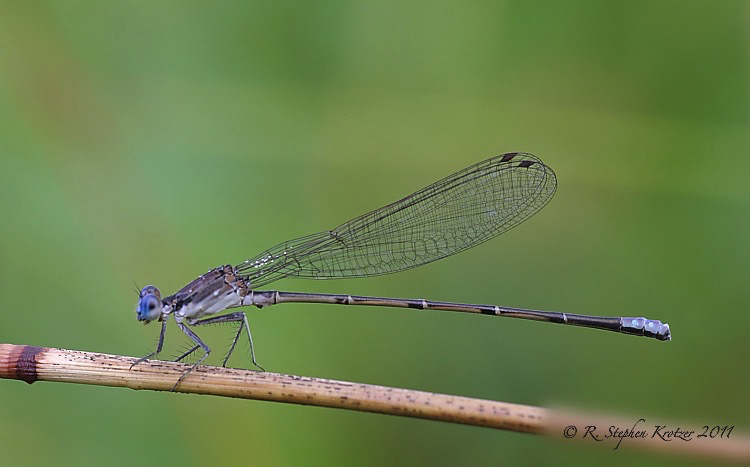 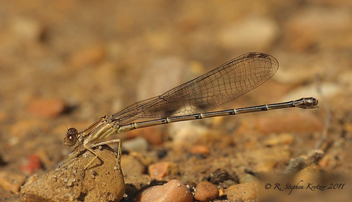 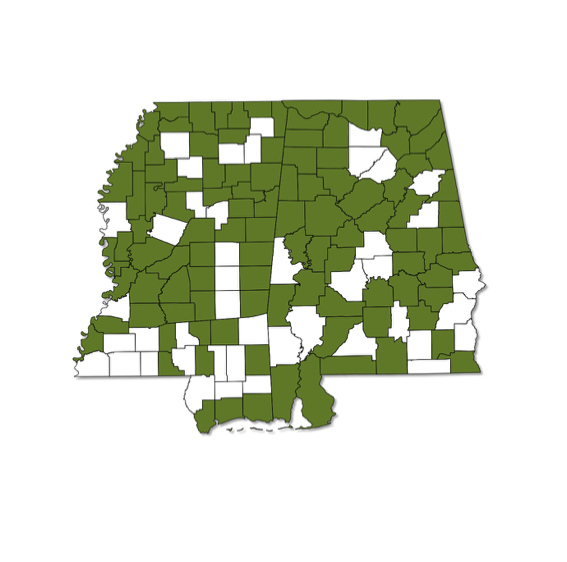 Argia apicalis is a common damselfly throughout Alabama and Mississippi, at ponds, lakes, and reservoirs, as well as streams and rivers. 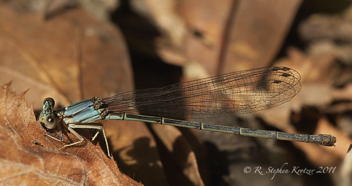 Females are most often brown or blue, but can also be green. 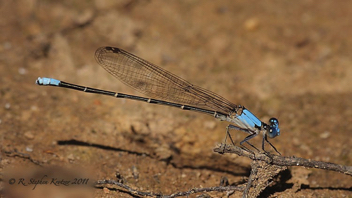 The bright pale blue of males will turn dark in cool temperatures and when in tandem with a female.